This is such a quick and easy dinner idea. 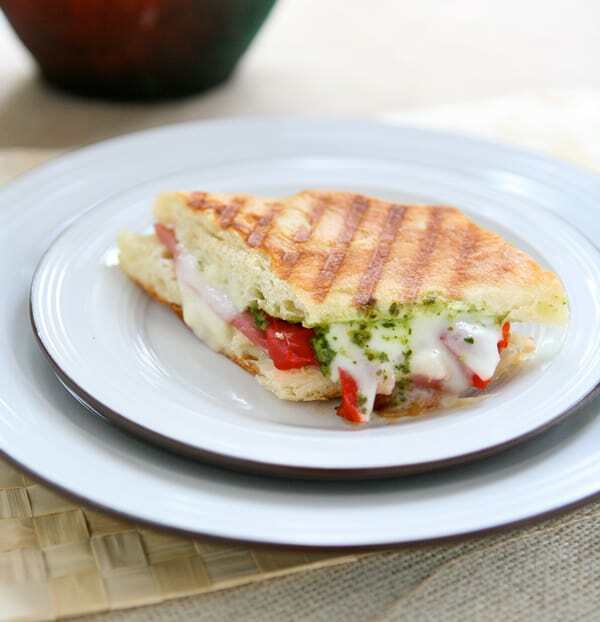 We’ve been eating so many paninis, and I think I’ve found a favorite recipe for them. 1. Preheat panini press. Brush bread with olive oil. Spread basil pesto on bread. Then layer on prosciutto, roasted red pepper and mozzarella cheese. 2. Cook until bread is golden brown and cheese is melted.